$4.00 Herbal Essences Classics Shampoo or Conditioner 13.5 oz. $2.08 Lysol All-Purpose Cleaner Spray, 32 oz. $3.49 Finish Tabs, 20 ct.
$4.79 Glade Scented Oil Refill, 2 pk. 2/$5 Coffee-Mate Creamer 32 oz. 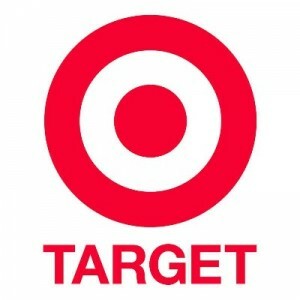 – Get a FREE $5.00 Target Gift Card wyb any razor and cartridge listed here. $2.00 Jimmy Dean Breakfast Bowl 7 oz. $2.00 Noose Yogurt 8 oz. $0.96 Reach Floss 55 yd. $1.44 Campbell’s Homestyle Soup 18.6-18.8 oz. 2/$5 Brach’s 24 oz. or Starburst Candy Corn 20 oz. NEW: $2.99 Candy Corn Oreo Cookies 15.25 oz. $5.68 Robitussin 4 oz. or Alka-Seltzer Plus Day & Night 20 ct.
$5.65 Children’s Tylenol 4 oz. $8.95 Tylenol Extra-Strength Caplets 100 ct.